When shopping for carrying cases in-store a consumer is limited to the available stock. In many instances, the cases available do not entirely fit with what is trying to be carried. When individuals make compromises with their cases, the valuables inside can become subject to breaks and damage. 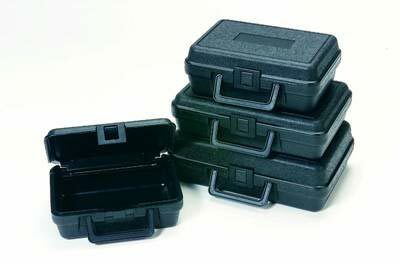 For those that are interested in total protection while traveling, they may want to consider custom blow molded cases. We specialize in building custom cases made specifically for the needs of each client. We have experience creating a wide range of different case types while also using different materials and molding methods. Regardless of what is being carried, we specially design and cut foam inserts that fit products like a glove and help to protect them. Different foam types are better suited for various gear, and our team will be able to help you decide on the best custom foam inserts. We recognize that heavy duty, blow molded cases can be heavy and cumbersome to carry at times, so we also create soft-sided cases. These softer cases are lighter and easier to carry, and they also cost less to construct and buy. Our cases are built to order based on the exact needs of our clients, which means we add color and accessories that help to make the custom carrying case better. For more information about creating blow molded cases, give our team a call.